During the early days of planning the podcast, one of the writers, Pacific Obadiah, created a rough sketch of the campsite so that they would be able to write the geography consistently throughout the show. While most of the map features the lake and the camp next to it, the map also includes the path to the abandoned cabin that the group explored before being discovered by the monsters. Following the path leads you to the other side of the lake where the cabin sits in a little clearing. Back at the campsite, the cabins are set up so that the girls’ cabins and boys’ cabins face each other with a multipurpose clearing in between them. Then to the north there is the mess hall where everyone would have eaten. Behind the mess hall is the tool shed, this is where Ally found her wonderful crowbar last season. Then to the left of the mess hall is the Head Master’s cabin, where Seth ended up hiding after he escaped from the monsters that attacked the group. Did you know that Lake Clarity has a waterfall? Although you will never see it, what with it being an imaginary lake and everything, I bet it is gorgeous and probably one of the reasons the town of Nederland turned it into a camp in the first place. Every good camp needs a hike to some sort of beautiful scenery, and while Camp Clarity did go off the rails with the hidden government experiments and missing children for a bit it was a good camp. 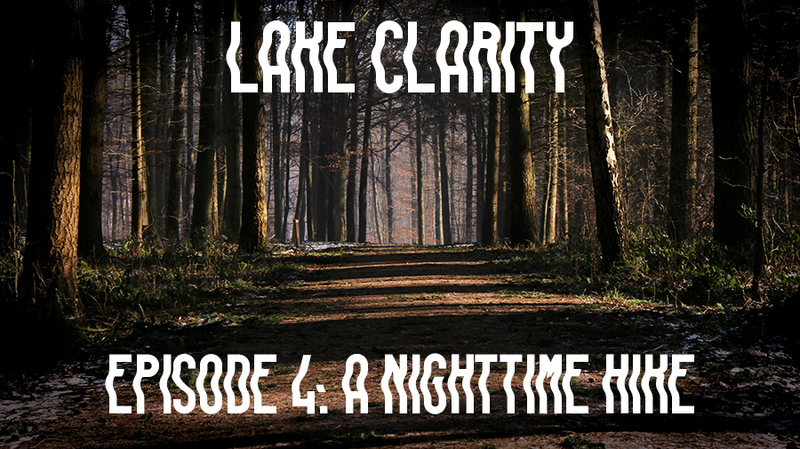 Make sure to listen to episode 4 to check out where Camp Clarity leads Sam and Steve. And do not forget to check out the podcast’s Social media pages to stay up-to-date on everything we do. Find us on Facebook at Lake Clarity, twitter @LakeClarity, and even Tumblr. Also, don’t forget, supporting us on Patreon gets you special rewards like early access to the episodes as well as stickers and patches!